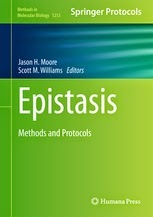 Our new edited volume on epistasis. Simulation plays an essential role in the development of new computational and statistical methods for the genetic analysis of complex traits. Most simulations start with a statistical model using methods such as linear or logistic regression that specify the relationship between genotype and phenotype. 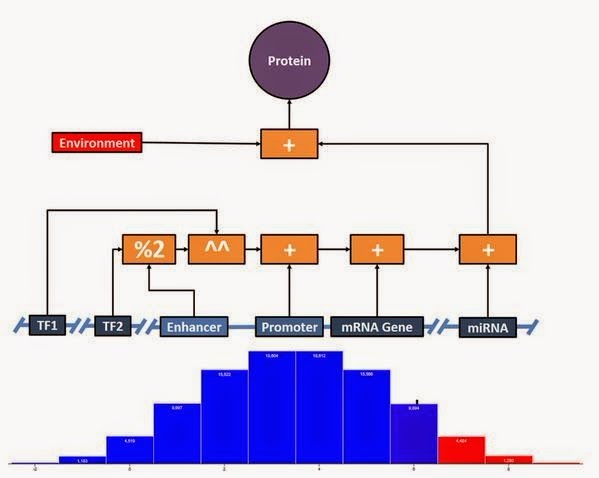 This is appealing due to its simplicity and because these statistical methods are commonly used in genetic analysis. It is our working hypothesis that simulations need to move beyond simple statistical models to more realistically represent the biological complexity of genetic architecture. The goal of the present study was to develop a prototype genotype-phenotype simulation method and software that are capable of simulating complex genetic effects within the context of a hierarchical biology-based framework. Specifically, our goal is to simulate multilocus epistasis or gene-gene interaction where the genetic variants are organized within the framework of one or more genes, their regulatory regions and other regulatory loci. We introduce here the Heuristic Identification of Biological Architectures for simulating Complex Hierarchical Interactions (HIBACHI) method and prototype software for simulating data in this manner. This approach combines a biological hierarchy, a flexible mathematical framework, a liability threshold model for defining disease endpoints, and a heuristic search strategy for identifying high-order epistatic models of disease susceptibility. We provide several simulation examples using genetic models exhibiting independent main effects and three-way epistatic effects.